Strong U.S. equity markets, venture capital and private equity returns were all factors that propelled positive returns on the College’s endowment for the 2018 fiscal year. Dartmouth’s endowment reached an all-time high value of $5.5 billion for the 2018 fiscal year. The endowment returned a net 12.2 percent, earning the College $591 million in investment gains, in addition to $183 million in gifts and other net transfers. For the past five, 10 and 20 fiscal years, the endowment yielded annualized returns of 10.6 percent, 7.6 percent and 9.8 percent, respectively. 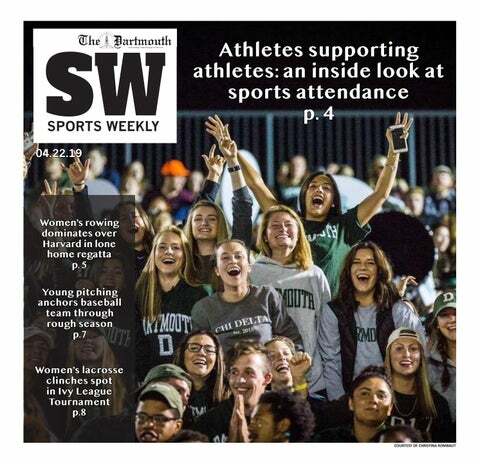 According to a College press release, Dartmouth’s investment goal is to generate inflation-adjusted investment returns greater than distribution and operational costs. Economics professor Bruce Sacerdote ’90 said that the College’s high returns can be attributed to partnerships with notable investment managers that allow it to maintain a successful long-term investment strategy. Sacerdote added that Dartmouth’s status as a prestigious and well-connected institution allows it to work with top-tier investment managers. Chief financial officer Mike Wagner said that given the volatility of returns, the College focuses heavily on its long-term investment strategy. He added that typically 25 percent of the endowment is allotted for operations and spent improving various aspects of campus. For fiscal year 2018, Dartmouth’s spending distribution from the endowment was $237 million. The College’s chief investment officer Alice Ruth said the full endowment report will be published later this fall, declining to comment further. Dartmouth is the first Ivy-League institution to release its investment returns for the fiscal year 2018, but has typically ranked among the institutions with the highest returns. The College’s FY2017 returns of 14.6 percent were the highest in the Ivy League. Wagner added that because other “well-endowed” institutions employ similar investment strategies, net investment return numbers across these schools are generally similar. According to Wagner, institutions with higher endowments per student are able to use a higher percentage of the endowment for spending each year. Princeton’s budget from its endowment is near 50 percent while the College’s is 25 percent, Wagner said. “That’s because their endowment per student is just a lot higher, so they can spend more on their total budget from endowment than what we’re able to spend,” he added. Sacerdote said the growing endowment allows the College to achieve certain goals only possible with financial support. Chair of the board of trustee’s investment committee Rick Kimball ’78 declined to comment.